Caption Reads: The Castle Of Vacouleurs, 1429. - Joan the maid (Miss Sybil Torndike) is seen pleading with Baudrecourt, Commander of the Army (Mr. George Merritt), to allow her to enlist. 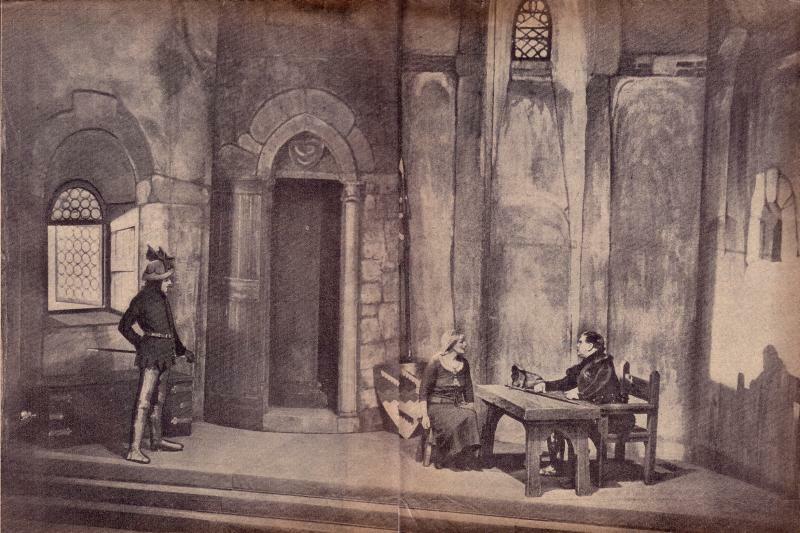 A scene from the revival of "St. Joan" at Her Majesty's Theatre photographed for the "Morning Post" by Armand Consol---performance.